The Steller Sea Lion (Eumetopias jubatus) also known as the Northern Sea Lion and Steller's Sea Lion, is a near threatened species of sea lions in the Northern Pacific. It is the sole member of the genus Eumetopias and the largest of the eared seals (Otariidae). Among pinnipeds, it is inferior in size only to the Walrus and the two Elephant Seals. Steller's Sea Lion Skull. Eumetopias stelleri. Otariidae. 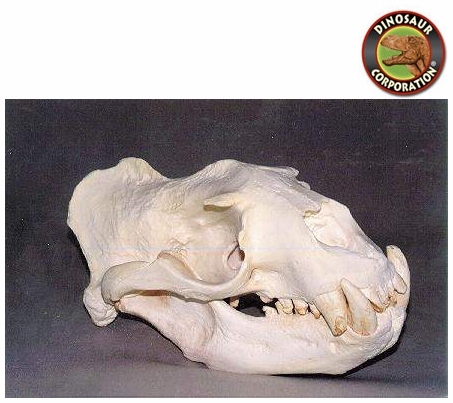 * Steller's Sea Lion Skull, Male museum quality replica is cast in durable Polyurethane resins.